The revised National Framework for NHS Continuing Healthcare (NHS CHC) and NHS-funded Nursing Care was implemented in October. NHS Continuing Healthcare (NHS CHC) is a package of care for adults aged 18 or over that is arranged and funded solely by the NHS. To receive NHS CHC funding, applicants are assessed by clinical commissioning groups to determine if they have a ‘primary health need’. I work in NHS CHC, and am interested in dementia and the lived experiences of black and minority ethnic (BME) people, and I have noted there is little consideration about the effect of ethnicity on ability to access NHS CHC. 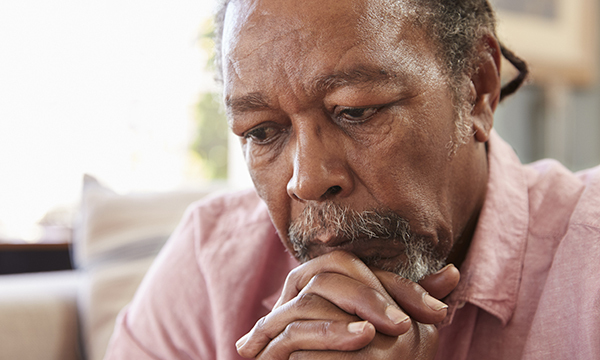 This is important because BME people in the UK are at greater risk of developing vascular dementia and experience a higher rate of younger onset dementia compared with the majority white population. Despite this, people from BME backgrounds who have dementia are under-represented in UK health services. They are diagnosed later and are less likely to access the appropriate services. The stigma of dementia in some minority ethnic communities also means that individuals from BME backgrounds present to services later. Responsibility for monitoring equity of access to NHS CHC lies with individual clinical commissioning groups (CCGs). Practice guidance for NHS CHC states that CCGs should use equality monitoring forms to identify if individuals from different groups are accessing NHS CHC on an equitable basis, including if they are being identified for potential eligibility at checklist stage and for a fast-track process. Yet, while ethnicity data are collected at a local level, there are no published ethnicity data about NHS CHC and therefore no published national evidence that access to NHS CHC is equitable. As practitioners, how can we reassure ourselves that people from BME backgrounds who are living with dementia have access to NHS CHC and that appropriate support is being provided for them? The national tools used do not take into account patients’ cultural or ethnic needs. NHS CHC commissioners have much to reflect on to ensure that services are accessible to all groups, collating and disseminating information in languages appropriate to their local areas. Providing ‘meaningful’ person-centred care and support requires an understanding of patients’ ethnic and cultural backgrounds. Further work is needed to raise awareness of NHS CHC with the families and carers of people from BME backgrounds living with dementia.